ROCCAT Studios, Germany's game peripheral powerhouse adds a member to the Kave family with the ROCCAT Kave XTD 5.1 Analog, set to hit online stores and retailers this April. 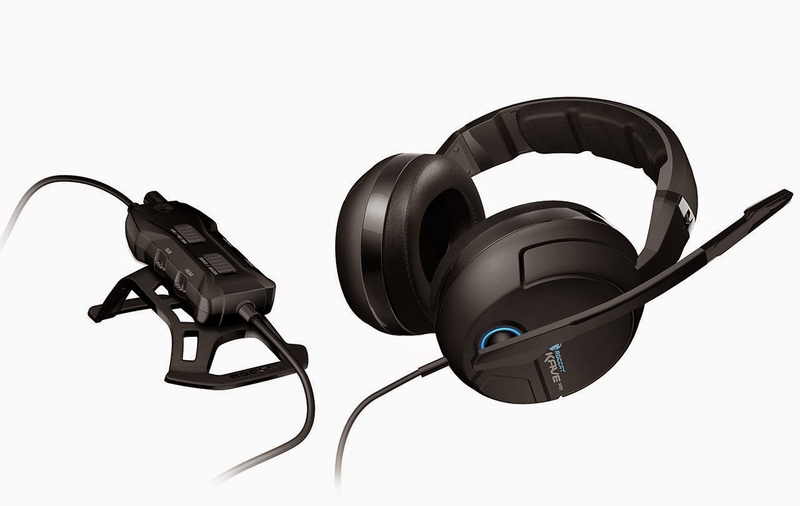 The XTD 5.1 Analog brings true premium 5.1 surround sound headset technology to your gaming experience, with all of the bells, whistles and comfort features gamers have come to know and expect from a ROCCAT offering. 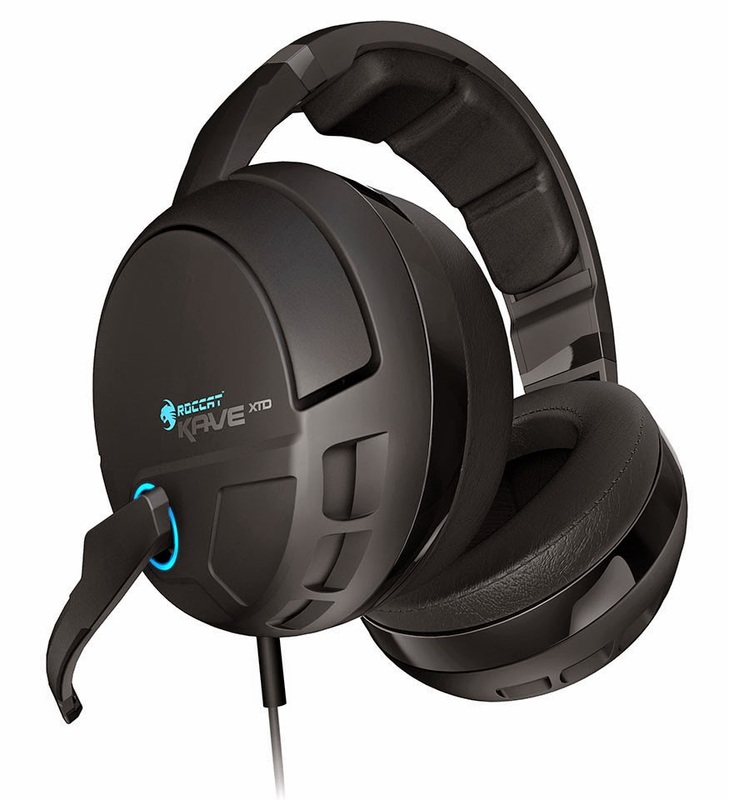 The fully immersive, this Kave headset comes equipped with two 40mm driver units, a 30mm vibration unit in each ear cup, a dual-mode remote for highly effi-cient, time-saving audio control adjustment, and a convenient LED light-tipped mouthpiece that ensures you know when you're on a live mic or muted. Inspired by the original Kave, the most successful true 5.1 gaming headset ever, we studied our original designs and analyzed gamer feedback to craft the 5.1 Analog's features. We kept what worked, and made advances where we knew this new headset could shine. One of those advances, of course, was in sound clarity. The Kave XTD 5.1 Analog blazes a new path in pure, high quality in-game audio. It's the first analog gaming headset to feature an interference isolator, a revolutionary technology that provides zero noise interference. The electromagnetic interference most gamers simply accept as a part of gaming audio experiences is a thing of the past. The Kave XTD 5.1 Analog provides nothing but clean, crisp audio in full, high quality surround sound. 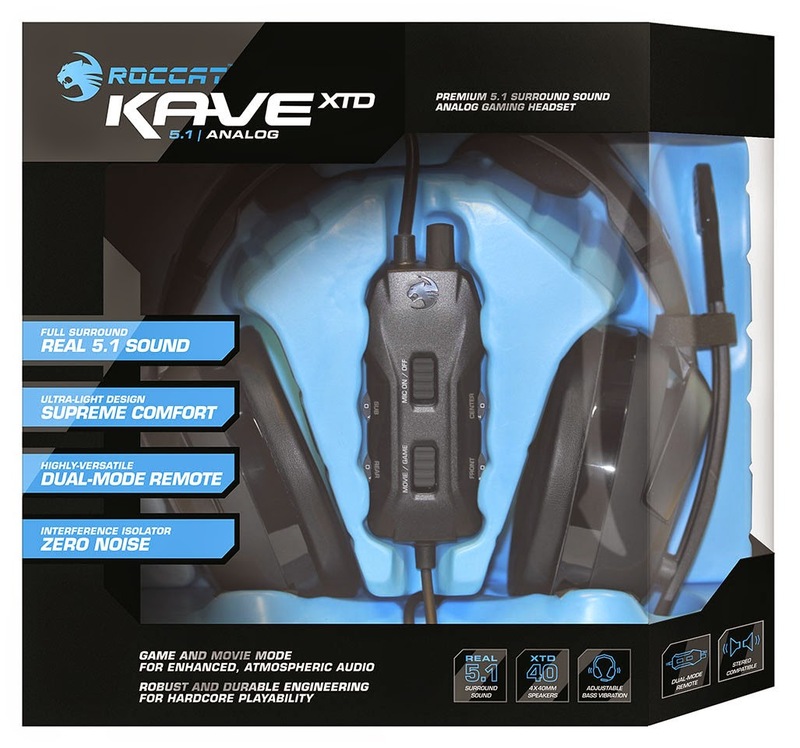 René Korte, CEO and founder of ROCCAT Studios effuses about the Kave XTD 5.1 Analog, "Not only is this headset a technically on-point peripheral in function, but the build is amazing. Looking at it, you'd never guess it was twenty five percent lighter than the original Kave. That's an ultra-light build packed with features, and so easy to wear during long gaming sessions due to a bevy of comfort options. To us, quality is innovation, be it something nobody has ever thought of, to making something that everyone has seen feel like a new experience. That's the Kave XTD 5.1 Analog. That's ROCCAT philosophy in practice." The ROCCAT Kave XTD 5.1 Analog is available now in Europe for 119,99 Euro and hits shelves in the US around mid of April for 119,99 USD.